Dr. George H. Starke (ca. 1899-ca. 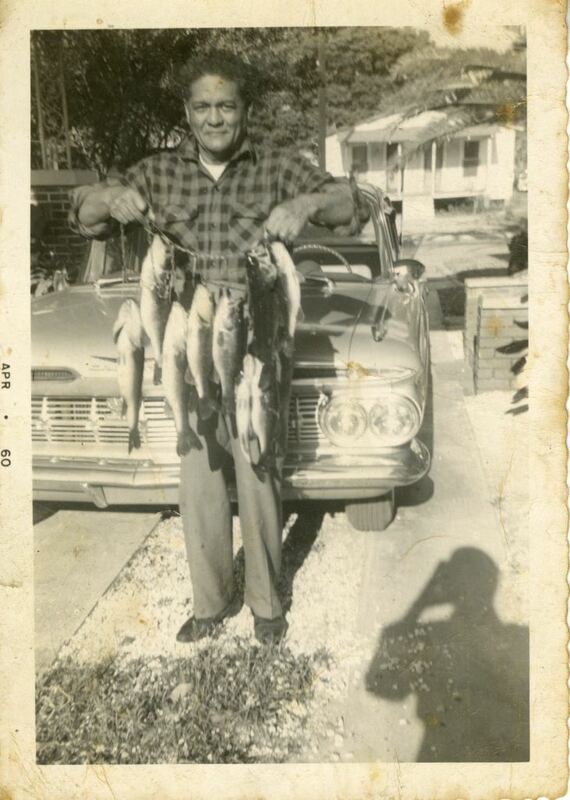 1979), a friend of the Black Family, displaying the fish he caught and brought back to his home on Locust Avenue in Sanford (now part of Winter Springs) 1960. For many years, Dr. Starke was the only African-American doctor in Sanford, Florida, and delivered many of the African-American children born in Sanford before the 1960s. He delivered all of the Black children except for Patricia Ann Black (1956-): David Harry Black (1929-2012), Vivian Louise Black (1940-), Lula Yvonne Black (1942-), Charles Samuel Black (1945-), and Pilgrim Black Jr. (ca. 1947- ). Dr. Starke opened his practice in 1927. Shortly thereafter, Dr. Starke became one of only four African-American physicians to be accepted by Harvard University for residency at Massachusetts General Hospital in Boston, Massachusetts. He practiced for several years in Boston and then returned to Sanford in 1933 and continued to practice medicine until his death at age 80. Dr. Starke was also the first African-American doctor to acquire membership in the Florida Medical Association and the Seminole County Medical Association, as well as the second to join the American Medical Association. In 1971, the City of Sanford named George Starke Park, located at 1501 West Third Street, in his honor. Original black and white photograph, April 1960: Private Collection of Patricia Ann Black. Digital reproduction of original black and white photograph, April 1960. “Dr. 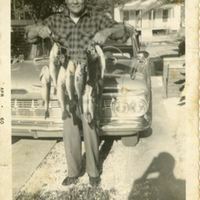 George H. Starke, 1960.” RICHES of Central Florida accessed April 20, 2019, https://richesmi.cah.ucf.edu/omeka/items/show/2990.